After a little hiatus, I am getting back into writing about a different location a week I have visited. This week it’s the United Arab Emirates, and more specifically Dubai. Dubai has a special place in my heart, I spent about 6 months there on a rotating fly in fly out arrangement about ten years ago. I was working for Foster’s, yes Australian for Beer, and we were setting up a new liquor distribution partnership there. So every couple of weeks I would jump on a plane and head to the Middle East. I didn’t know what to expect of Dubai, back then the city was just starting to build its reputation as a tourism destination. It was almost surreal in many ways. One part of the city was like Las Vegas, an oasis arising out of the desert, all lights, glitz and luxury, while across the river was Old Dubai with gold souks, the scent of spices and apple from the sheesha pipes. I loved it all; the diversity is what made the city so interested. My most luxurious experience was definitely having dinner at the Burj Al Arab. 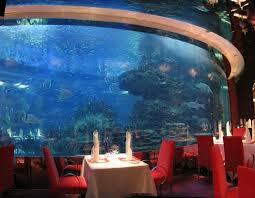 The restaurant was literally underwater, and surrounded by glass so that you were at one with the sea. So by candlelight we could look out the window and watch fish swim past us in their natural habitat. I was so in awe by the surroundings I can’t even remember what the food was like. On the other side of Dubai was the suburb of Karama, home to a huge Indian migrant population. Here was where I got my fix of cheap and warming dosas and uttapam. Followed by a spot of shopping in one of the “back rooms” of the stores, there you could find knock-offs of every handbag designer imaginable. I had quite an impressive collection back then, but of course the cheap imitations quickly broke after a few wears. It was this diversity that made Dubai so interesting. Working for an alcohol company, part of my job involved checking out the bars in Dubai (yes really I was paid to do this!). An evening would sometimes start at a working class “Indian” bar, where a beautiful woman dressed in a full saree would dance for a group of loud, cheering men who had endured a long week of hard labour. 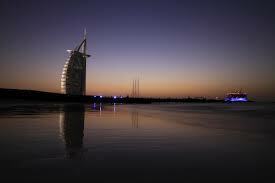 Next was the casual expat bar, usually in Jumeirah Beach, with a large open-air deck overlooking the ocean. Then we’d finish up with a nightcap at a fancy hotel bar. There was always something for everyone. After two weeks I would return to Melbourne and my “real” life, before packing my bag and doing it all over again. Thankfully I flew business class and Emirates had just started direct flights to Dubai from Melbourne, it sure helped ease the permanent state of jet lag I was in! It’s been a while since I’ve been back to Dubai, and I think that perhaps it’s time to return. I have been wanting to visit Dubai, it looks like quite an amazing place! It must have been interesting working for fosters! It is amazing, and yes it was very interesting working for the great beer company.